Why The Parrotfish Should Be The National Bird | Watts Up With That? Ecological alarmist scares have a lot in common with zombies. They seem to eat up people’s brains, they are mindless themselves, and most important, they are really, really hard to kill. Take for example the long-discredited idea, first overthrown by Charles Darwin, that coral atolls are under threat from sea level rise. Darwin showed that to the contrary, coral atoll were created by rising sea levels. Despite being totally untrue, this nursery tale of rising sea levels threatening coral atolls was resurrected by the Sierra Club regarding the supposed fate of the South Pacific island state of Tuvalu, and used by the Sierra Club and other environmental non-governmental organizations (NGOs) as a cautionary tale to promote expensive energy. Since then, a number of folks including myself have pointed out how ludicrous the claim is. And a study of historical aerial photos of the Pacific atolls by Webb and Kench showed that despite the rising sea levels, a majority of the atolls had either stayed the same or, in many cases, increased in size. To quote from the paper, “Results show that 86% of islands remained stable (43%) or increased in area (43%) over the timeframe of analysis.” And since the sea level was rising all that time, the claims of the Sierra Club have been shown to be total nonsense. But the bogus claim lives on, I read it again this week, so clearly not everyone has gotten the word. Figure 1. Cross section through a typical coral atoll. The living coral is shown in light green, and it is in the ring of shallow water between the dotted green line and the beach. The atoll used for the photo in this example is Tepoto Atoll, French Polynesia. Now, undaunted by the untruth of their claims, the PR campaign goes on, with the atoll nation of the Maldives pulling stunts like an underwater cabinet meeting to try to raise money from their imaginary “plight” … in fact, begging for funds because your coral atoll is under threat from rising sea levels seems to be developing into a bit of a cottage industry. So to provide a counterweight to this recurring myth, to drive yet another stake through the heart of this zombie, let me repeat the story of why the parrotfish should be the national bird of every coral atoll state and nation. I’ll give you the tale in a nutshell. Coral atolls are not a solid “island” as we understand an island. They are not a solid chunk of land surrounded by water. Instead they are best thought of as a momentary hesitation in a (hopefully) continuous slow-motion river of coral rubble and sand. This slow-motion river is composed of nothing more or less than the bones of the reef itself, the broken off and ground up parts of the reef’s coral skeleton. A healthy reef grows ceaselessly, and its upper limbs are constantly being broken off by the endless waves when they dare grow too near to the life-giving light. This coral rubble is slowly swept by the waves up onto the atoll, and from there it is equally slowly returned by waves and wind back to the ocean. The sad truth is, coral atolls are not held together by anything except temporal inertia. They are nothing but a loose pile of coral rubble and sand. And as you might imagine, such an unconsolidated pile is eaten away by every stray current and wind and footstep. Every moment of every day, every coral atoll on the planet is losing its precious land, eroded back into the ocean by the ceaseless pull of gravity, wind, and waves. So how do coral atolls survive? Obviously, for an atoll to survive the ceaseless loss of its land to erosion, it must be continually replenished by an equally ceaseless supply of coral rubble and sand. And if that supply of rubble and sand slows, the atoll shrinks. If that supply slows, the freshwater lens shrinks. And if the reef dies, if that endless supply of cast-off coral stops? The atoll disappears. Might take five years or fifty, but if the reef dies, the atoll disappears. Coral atolls grow and shrink, not based on sea level rise, but based on the health and vitality and extent of their coral reef—the unseen source of the (hopefully) endless river of coral rubble sand that keeps the atoll from vanishing. The amazing thing about humans and coral atolls is that we can live there at all. There is a small freshwater lens that provides a bit of water. This lens is not contained by anything, but actually floats on top of the underground surface of the salt water that interpenetrates the lower part of the atoll. If you pump the lens of fresh water too much, you start pumping seawater. When there’s not enough rain, the well water becomes brackish. There is generally no topsoil worthy of the name, just salty coral sand mixed with a small bit of organic material. There are no sources of energy, no forests for wood, no oil or coal. There are not a lot of plants that can survive at all under such conditions. And the very existence of the atoll itself is at the mercy of the health of the reef, not to mention the occasional hurricane that can overtop the reef and push the pile of rubble and sand right back into the ocean, or wipe away one end, or cut a channel right through the middle. It is a tenuous existence even at the best of times. So what is the real threat to the coral atolls? What’s the true story regarding the Sierra Club’s description of the washing away of part of an atoll in Tuvalu? Why do the islanders report that they are drawing salty water out of their wells? The answer is that indeed these problems are the fault of humans … just not by way of CO2. The big threat to the existence of the atolls comes from the local inhabitants mistreating the reef that keeps their heads above water. And the big threat to the atolls’ fresh water supply is the combination of reef destruction and overpopulation. For example, the folks in the Maldives have built a number of lovely tourist hotels. Of course, to build them you need mortar and concrete, and for that you need sand. Coral sand makes terrible concrete, but it’s all they have. There is no quartz beach sand available to build with, just chunks of coral and coral sand. So the Maldivians mined the coral from their reefs to use to build their hotels and houses. Then they brought in scads of tourists every year, to help them drink up the freshwater lens … and now they are saying that the industrialized nations should compensate them because their well water is brackish, and the atolls are washing away. Now, as you might imagine, the truth in this tale is not popular in the atolls at all. Like everyone else in the world, folks there would much rather believe that their troubles are anyone’s fault but their own. So I understand them desperately trying to prop up the false narrative about CO2 and sea level rise being the culprits. When you live in a place that has nothing, you need to grab for every chance you can. But I’m a man who grew up in the middle of the forest, and has worked extensively as a commercial fisherman. And like many people with that background, I’ve been a devoted environmentalist for my entire adult life. Which is why I feel so betrayed by the hijacking of the big environmental NGOs by people obsessed with raising energy prices and restricting fossil fuel use. I can understand the islanders continuing the charade. I can’t understand the environmental NGOs not acknowledging their mistake regarding sea level rise, and moving on. Because far from admitting that they were wrong, the Sierra Club and Greenpeace and the like are still making these same bogus claims of danger to coral atolls from sea level rise, centuries after Darwin first showed them wrong, and when their claims have been shown untrue by actual measurement of the atolls involved. This hijacking of the big environmental NGOs by anti-development forces directly harms the environment in a number of ways. First, every dollar the environmental organizations spend on trying to raise energy prices (by attacking CO2) is a dollar not going to its declared purpose of helping the environment. Second, the misidentification of the cause of atoll deterioration as being sea level rise has prevented people from noticing, addressing and correcting the actual causes of atoll deterioration, which are reef health and human overpopulation. Third, blaming the innocent (far-away users of fossil fuels) for the woes that the atoll dwellers have brought on themselves just angers the unjustly accused. It doesn’t lead to solutions. Fourth, it has led to a cottage industry of demanding reparation for atoll damage. Since the demands for reparation are being made by the very people who are actually causing the damage, this will not end well. Fifth, and most important, the focus on raising energy prices (to reduce CO2 emissions) keeps the third world poor. The effects are already being felt in such actions as the World Bank denying loans for coal-fired plants in India. How does that hurt the environment? The sad reality is that only when people have their basic needs covered can they afford to worry about the environment. No country has ever undertaken serious environmental repair and restoration until the people were generally well fed and clothed. And inexpensive energy is an indispensable part of that equation. When did inexpensive energy turn from being the “savior of the American farmer” to being something that Western rich folks are denying to India? The push for expensive energy by the “environmental” NGOs is hugely damaging to the economies of the poor countries, and through them, to the environment itself. Because if the poor folk in Africa cannot get inexpensive energy for cooking and heating, they will eventually cut down every forest and burn up every stick of firewood on the continent. They will hate to do it, they will mourn the destruction … but unless and until they have some other way to cook and heat, the environment will be under huge destructive pressure. It’s a crazy, all-too-human paradox, that the only thing that can possibly save the global environment is the very economic development that many environmentalists oppose. And my concern for the environment is one reason that I’ve spent a good chunk of my life living in poor countries and working on their economic development. So that’s why I feel betrayed. The same environmental organizations whose founding I cheered decades ago because they were protecting the environment, have morphed into monsters which are actively harming the environment in a host of ways, and setting humans at each other’s throats over imagined wrongs. Even worse, they think that inexpensive energy and economic development are the dangers … when the truth is that when half the planet is living on a couple bucks a day, inexpensive energy and economic development are the only things that will save us from slow-motion ecological catastrophe. I’m deadly serious. I had no answer for him. And that is how, paradoxically and tragically, the anti-development, pro-expensive energy actions of the big environmental NGO’s are doing huge, present, and continuing damage to the poor and through them to the environment the NGOs are supposed to protect. Now, does this make me want to stop being an environmentalist? Not at all. I know that the only way that my as-yet-hypothetical grandkids will be able to be commercial fisherfolk is if we take care that we don’t damage the ocean. Protecting the ecosystems and the natural resources are a no-brainer for anyone actively involved with the natural world. So in response, about all that I can do is to not go gentle into that good night. This is me raging against the passing of the light. And where do the parrotfish fit into all of this? Well, as I’ve mentioned elsewhere, parrotfish use their hard beaks to bite off chunks of coral. These chunks of coral are ground into sand by hard plates in the parrotfish’s throat. The parrotfish digests what’s digestible, and excretes copious amounts of the finest, loveliest, tropical beach sand. It’s interesting to watch, because they have to grind up a lot of coral to get a little food. As a result, sometimes when a school of them is surprised by something, and the whole school decides to simultaneously “dump the ballast and run”, the water where they were is instantly filled with a cloud of slowly descending pure white sand, while the parrotfish are now well down the reef. Yes, it’s true. All of those lovely tropical beaches? They’ve mostly composed of coral that was lovingly hand-ground by parrotfish. But creating tropical beaches, that’s just the benefit to the humans. The parrotfish are also vital to the health of the reef. This is because a coral reef is always in competition with various kinds of algae and plants. Since the coral reef is the only solid surface available, various green things are always trying to colonize the surface. This is to the detriment of the coral polyps who are building the reef. The grazing of the parrotfish is a major mechanism for keeping the greenery from overtaking the reef … I’ve seen overgrown reefs, and they’re not a pretty picture. The parrotfish also exposes fresh coral surfaces when it bites out chunks of coral. These are then available for colonization by further coral polyps. As with most natural systems, the presence of grazers greatly increases the health and productivity of the reef ecosystem. And in addition to creating sand, when the fish are grazing they also break loose chunks of coral … coral that will eventually end up added to the atoll itself. And that is why the parrotfish should be the national bird of every tropical coral atoll—because without them the atoll is in trouble. It should not be fished for the market, it should not be killed by night divers to be served in restaurants. It should be off-limits, a protected species, both as a practical matter for the continued health of the reef, and as a symbol of the importance of the reef upon which depends the very existence of the atoll itself. Is making the reef healthy all it will take to save the atolls? Well … no. They also have to stop the population growth. A coral atoll is tiny, only a few square kilometres of land. More importantly, the fresh water lens is correspondingly small. Since it is only replenished by rain, this limited water puts a practical maximum on the island population, a maximum which these days is routinely exceeded … and then they complain that rising sea levels are making their wells brackish. The wells are indeed getting brackish … but not from rising sea levels. PS—please be clear that I am not speaking against the environmental movement, of which I have long counted myself as an active member. In large part, the movement is made up of local people working on important local issues. Nor am I speaking against the real environmental gains that we humans have made. The cleaning of the rivers and the air in much of the industrialized world is a story of achievement and hope. I am talking about the change in many of the big environmental organizations, which for better or for worse are the public face of the movement. The organizations have transmuted from being for responsible development and for the environment, to being against all development and thus actively harming the environment. The environmental NGOs’ fight against affordable inexpensive energy is a modern tragedy. Inexpensive energy is the only hope for the poor of the planet, and the economic development of the poor is necessary BEFORE a country can start addressing environmental issues. As a result, the NGOs’ war on inexpensive energy is causing huge, long-term environmental damage. This should be required reading in schools. Thank you Willis. 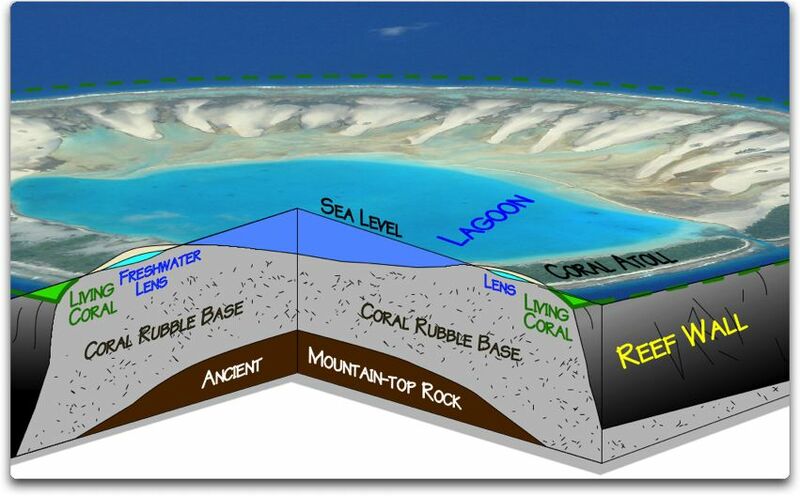 I have never had the process of atoll formation explained to me before, and you account is crystal clear, especially as to how the sand produced by the parrot fish is pushed up above sea level by wave and wind action. .
On March 13, WUWT announced that Climategate 3.0 had occurred. So there is no proof of rising sea levels? Excellent article Willis. Like you, I am incensed by the “environmentalists” who cause more environmental destruction by their ignorance and politcally biased solutions, than good. I do not care if any given solution is right wing or left wing. I just want solutions that work in practice. For more on parrotfish than you would ever want to know, there is this from NOAA. It is a really tough read and I skimmed through it, but from what I could make out if you banned the fishing of parrotfish at night with lights, that would save the parrotfish population and thus the coral atolls. This obviously would not be the conclusion from any greenie establishment organisation as it makes too much common sense. Climate change/global warming, as we all have come to know, is the cause of everything bad in the environment. In reality, it is nearly always something else. In this instance, the over-fishing of parrotfish, over-pumping of small fragile aquifers, or not shipping in real sand (as opposed to using locally produced coral sand) is all a litany of human greed and/or stupidity. Reality rarely gets the gullible to empty their pockets, but scary over-simplifications of non-problems can. Just something the likes of Greenpeace learned a long time ago. You forgot the “sarc,” Willis. Sorry, I now realise you weren’t implying sea levels were not increasing. Well now we all see why you haven’t killed the zombie. A stake thru the heart only works on vampires! You have to shoot zombies in the head. That’s where the brai……….. Certainly, the sea levels are rising, as they have been for hundreds of years. But Darwin’s brilliant insight, which came to him before he’d ever seen a coral atoll, was that as sea levels rise, coral atolls rise with them, because the coral is constantly growing upwards. Darwin also realized that the ring shape of coral atolls comes about because the sea level has risen so much that the volcano, on whose underwater slopes the coral reef began growing, is now underwater … but the ring of coral that once surrounded the volcano has continued to grow upwards as the sea rose over the volcano, and as a result the atoll have not gone underwater, but have risen in step with the ocean. So provided they have a healthy reef, atolls are under no threat at all from sea level rise. They’ll just rise with the sea level. And if they don’t have a healthy reef? In that case, they may not survive even if the sea levels don’t rise another millimetre. Thanks Willis. Why have sea levels been rising for hundreds of years? SRD~ my guess is, the people who lived in Doggerland, asked the exact same question, 5000 years ago…….. I like how I only had to glance at the title to know it was Willis. Thanks for yet another very informative posting, Willis. Otter is right, and much is still unknown on this question. The big rise in sea level occurred when we came out of the last ice age. Since then sea levels seem to have advanced and receded. Some of this is from the “thermometric” component of sea level, which is the increase in sea level due to the ocean expanding when it warms. In addition, some of the rise must still be from the slow post-Ice age melting of the remaining glaciers and ice caps. This is what drowned Doggerland by about 5,000 BC. And some of the rise must be from ocean warming during the recent emergence from the Little Ice Age. However, as far as I know the sea level budget is still not completely understood. Thanks, Willis, for a welcome reminder that environmentalism was originally based on an informed respect for the natural world and its processes, rather than an uninformed hatred of the human world and a commitment to its destruction. Sad that it has de-evolved so badly, but it’s always heartening to read a real environmentalist’s reflections on reality. Willis, somewhere in there you should right a chapter in the story of carbonate rock formation. For those who might wonder where ‘calcarenite’ comes from….look no further. For those who cling to the meme after reading this, please try to dissolve your calcified thinking about sea level rise. …..That should be “write a chapter”…..says one whose brain is calcified due to age. In a sane world where people believed in evidence, logic, science, and honesty we would never see such hogwash. The fact that we have known since the time of Darwin that the atolls exist due to rising sea levels tells anyone of average intelligence that rising sea levels will not harm the atolls. A regular event that the alarmists use to ‘prove’ that the islands are being washed away are the king tides. Every year the environmentalists are there to film the water rising up through the ground to flood fields and homes. They are either unaware, or choose to ignore the fact that this is a direct consequence of the way the islands were created and maintained, as described by Willis above. Conversely, if there was a sudden drop in sea level, much of the coral would be exposed and therefore die back. The replenishment of the sand would be interrupted and the island would be eroded away until such time as equilibrium was re-established at the lower level. I tried explaining all this to my girlfriend last week drawing on a napkin. It would have been a lot easier if I could have shown her Willis’s post. I used to watch the parrot fish eating the coral of Gan, an island of Addu Atoll in the southern Maldives, in the 1960’s and they are good sand makers and do not harm the reef in any way. The sand in tirn gets pushed by storm waves into sand berms above high water level thus reducing island flood risk. Great post. This zombie is just like the Kilimanjaro tale. Just a couple of extra points. It appears that the Maldives were offered cash (bribed?) by the American government to support their version of a global warming deal? Embassy dispatches show America used spying, threats and promises of aid to get support for Copenhagen accord….. The Maldives has been building four new airports over the past few years called Kooddoo, Maamigili, Dharavandhoo and Fuvahmulah. This is odd because you complain about co2 emissions causing your ‘sea level rise danger’ then you encourage more tourists to fly over and extract more of your lens water as well as use up your islands for building materials. Tourists also contribute vastly to the growing Garbage Island problem. There is also the problem of blasting of boat passage among some island atolls. Hey, never let the facts get in the way of a good sob story. It makes Warmists feel they care and that they are doing the right thing. PS I bet you more Warmists have visited the Maldives than sceptics. And another point. Warmists like to compare Creationism and Darwinism yet ignore Darwin’s great insight into the floating atolls he observed. Funny that. PS I am a strong adherent to Darwinian Evolution and reject Creationism. Just my personal view. Another superb and beautifully argued piece. Keep them coming, Willis! as a high profile sceptic in Scotland, it is time I came out! I am also a secret campaigner for the environment. Near us is an old peat workings called Lenzie Moss. That is not remarkable in itself as there are lots of peat bogs in Scotland and several others this close to the major city of Glasgow but this one is remarkable because it is so easy to get to and with a well built path around it, it is not only a fantastic local education resource about this kind of environment but also in that peat and surrounding area we have the whole story of human civilisation. In the peat itself we have the of human civilisation from several thousand years BC (when the climate changed) which shows the early cutting down of the forests. Several massive changes in fora which could be due to early climate change, we have evidence to link its use to the Roman invasion of Scotland, to the agricultural revolution (we have possibly one of the great wonders of the 18th century world … a 900m tunnel which is probably the longest drainage tunnel since the Romans in Europe no one knows about and has no legal protection). We have the beginnings of the industrial revolution with one of the first railways and early canals close by and possible early coal mining in the reserve. Then we have the WWII peat workings and finally we have the post-industrial environment of the nature reserve with extremely easy access for local kids to come and learn about the quintessential Scottish landscape of bog. And what do the council want to do? Build housing right next to the bog. Turn the railways into roads and basically turn the whole area into one big housing estate. And who is the daft idiot who cannot help being interested in the ditches and drains and practical things like the geology who understands that building these houses will require draining the surrounding area which will lower the water table and cause the surface layer of peat to start oxidising and releasing CO2 and it is more than likely that this dry out the nature reserve leading to the invasion of willow which will then further dry out the area and fairly soon there will not be much worth saving? Just like the corral atolls, most environmentalists do not really understand science or engineering. So they haven’t a clue these environments like the Corral atolls or these peat bogs function. You need to understand the chemistry of organic decomposition, the physics/engineering of drainage, be able to interpret geological cores and observe the way the peat is already deteriorating beside the railway to understand exactly how mankind affects these environments. And likewise both are only really sensitive to what local politicians do rather than to the grandiose myopic environmental mus-conception of global warming. Yes, there has to be a balance. We need development, but we also need to understand how local actions affect things we want to save and it is only those who really understand how these systems work that should be listened to. But no! We have people like the Green party in Scotland who bang on about global warming but show not the slightest interest in saving our local nature reserve? And they have the gall to suggest we don’t care about the environment! What a lot of these ‘well intended’ folks don’t realise is that when a poor man with a family can’t get cheap plentiful energy he heads off into the nearest forest with axe in hand. Heck, if the relatively wealthy Germans could do it in their forests then why shouldn’t someone near the Amazon forest or the Congo Basin. How many people here have tried eating raw chicken, goat or lamb? Raw potatoes? Dry beans? Deforestation, massive release of CO2 and loss of animal habitat is the end result. As for heating poor people will burn wood, dung, kerosene and candles for light. Inefficient Co2 galore!! And please don’t tell them to purchase the latest solar panels and hight tech wind turbines when he can’t afford the main meal of the day. With energy costs escalating, more Germans are turning to wood burning stoves for heat. That, though, has also led to a rise in tree theft in the country’s forests. Woodsmen have become more watchful. As for the Sierra Club and Nature Conservancy they are just a bunch of fossil fuel shills. Willis, what would be the effect of falling sea levels on a healthy coral atoll? Many thanks Willis. As usual, an informative read. For a while now I have thought there there should be better ‘colour coding’ of Environmentalists. Using the blanket term ‘greenies’ does a disservice to the true environmentalists. ‘The Greenies’ should only be used for those true environmentalists, like the girl who featured in an Aljazeera film whose job means that she daily takes her life in her own hands when opposing illegal logging in South America. ‘The Reds’ are the ideological/political bunch who took over the ‘green’ movement when their communist gravy train derailed. And in between are ‘The Brownies’, who would prefer that the whole Earth surface looked like the Sahara. I suspect that these ranks are mainly filled by people who consider themselves to be greenies – treehugger types – but who haven’t bothered to check up on the propaganda dished out by their Red leaders – members of 350.org for example. And it’s not only the NGOs who are wasting funds that could be better spent on true environmentalism – World Bank and others are as much to blame. In my line (roads) I am frequently obliged to read the twaddle dished out by so-called environmental professionals who make their living from writing reports that accord with the WB meme – dust is dusty, blasting is noisy, quarries are unsightly, etc – as if engineers didn’t know that (and include mitigation of the problems in construction specifications) long before the environmental ‘profession’ was invented. Essentially, you look to be 99.98% correct. a) Build a berm around the whole island and hope that a tropical cyclone doesn’t someday breach it and flood the city. b) Somehow elevate the base each and every road, open area and structure on that sandpile at a rate at least equivalent to sea level rise. c) Walk away and build a more cleverly designed capital elsewhere. d) Blame their problems on someone else. They appear to be opting for plan d. I doubt it will work out well for them. Thanks, Willis. There is always more to learn. I didn’t know that Darwin figured out the coral atoll story long ago, and am absolutely gobsmacked that he did it without even the benefit of ever seeing one. He was very much smarter than the average bear. And yes, when we consider that even people in relatively wealthy countries are chopping down trees for fuel because of deliberate, pointless political actions to make energy more expensive, it gives pause for thought. It is absolutely criminal that do-gooders are inhibiting the availability of cheap, reliable energy in poor countries, while simultaneously weeping crocodile tears about “the environment”. I am glad, too, that you made the point about genuine environmentalists, most of whose work is unglamorous, unpaid and unsung. I make my modest contribution by turning my suburban property into a bird sanctuary and doing a bit of volunteer work on removing weeds from the local bushland. The bushland weeding group is just a bunch of ordinary people who donate a bit of their time and labour, with no fanfare or funding. There are hundreds of thousands of such groups all over the world, with nary a first class ticket to a climate conference between them. Great article Willis. I particularly like your quote about being an environmentalist because you have lived closer to nature. I think the world would be a better place if those who work in air conditioned offices took more notice of the views of those who don’t. You pipped me to explain coral grows quickly which I suspected some folks may not already know. I was lucky enough to visit the Cocos (Keeling) Islands recently and the passage Keeling used to enter the Cocos lagoon is now apparently impassible due to rising sand levels. Anyway, I was wondering how much CO2 equivalent is sequestered as coral, dead and alive? Presumably warmer oceans mean more coral extent and more carbonate sequestration. Presumably that’s catered for in the carbon cycle? For the benefit of the conspiracy theorists here, it does occur to me that the greenies may be trying to raise the price of fossil fuels precisely to make the lifestyle of the poor untenable and so wipe them out – after all, population reduction always seems to be their ultimate solution. Don’t tell our congressmen that. Some of them will start to worry that they might tip over and sink if too many people stand on one side. The tropical paciic is full of drowned fringing reefs. It is odd that someone could write such a long piece and still fail to mention that rising seas have wiped out thousands of atoll islands in the past. Does human development threaten them as well? Yes. Are most atolls all going to be fine when oceans rise a meter or more? No. I came across this article covering your question. It doesn’t change the general pattern that all volcanic islands sink over time, but this looks at the affect of rising and falling oceans due to the coming and going of ice ages. We have even attacked some of the coral reefs with nuclear bombs. Last time I checked, Bikini Atoll was still there and growing. Ryan – could any of those drowned atolls have been over fished by humans, or been in areas where insufficient upwelling nutrients exist to make a thriving coral community? There are many things which can affect coral growth cycles. The real wonder is that there are any at all! Jimbo – From what I can tell you from my experiences diving these reef walls is that the coral will migrate to their sweet spot in the ecological web. The coral that becomes exposed will die and be broken up by the action of wind and waves, while new corals of the same species will populate the new niche created by the receding water level. When you dive these things, you will note that the species varies with depth within a fairly narrow range down to my max allowed certificate of 65 ft anyway, what happens below that I haven’t investigated up close. The truth about sea level in the Maldives is that the islands are emerging, not submerging–the 1979 shoreline is well above the present shoreline! See the evidence for the emerging Maldives in Morner (2011), The Maldives: A Measure of Sea Level Changes and Sea Level Ethics: Evidence-based Climate, Elsevier, Chapter 7. Morner has also written about Tuvalu, which is also not submerging. Ryan – Also how many of those atolls were submerged more by the subduction of pacific plate zone than by sea level rise. Most of the islands in the Hawaiian island chain are submerged, but it has nothing to do with sea level rise. The truth about sea level in the Maldives is that the islands are emerging, not submerging–the 1979 shoreline is well above the present shoreline! That could be caused by variations in wind or currents. I know that Morner is pretty certain that the sea level at Male has not changed much in the 20th century, and he’s probably right. But it’s very difficult to measure sea level change over short time periods like a few decades. On top of which, I’m pretty sure that there is no tide gauge at Male. What is really needed is a few years of high resolution elevation measuremen using satellites. I believe that is, possible, but far from easy using the best modern technology. If it’s actually possible to determine tectonic rise/fall using satellites, that’d be a good use of research money. And not just in the Maldives. As far as I can tell, most “data” on the rise/fall of seacoast locations is probably largely guesswork. You might be able to dismiss a lot of the panic about coral reefs…. Willis’ Eagle soars again. I want to go on a rant against the enviowackos, but I will refrain in Willis’ honor. I can’t understand the environmental NGOs not acknowledging their mistake regarding sea level rise, and moving on. What is it the SkS guys like to say about ‘manufacturing doubt’? It appears to me Sierra and Greenpeace use this exact tactic in reverse. You mean when sea levels return to where they used to be? Me too! 40 years ago I supported the WWF because they were at that time actually supporting world wildlife. Now most of the environmental NGOs are completely off track from those laudable origins. Frankly with all the money that WWF now has they could make huge inroads into curbing the rapidly shrinking orangutan population in Indonesia. And support chimp and elephant population growth in Africa. While at the same time supporting local human populations in those places and other places in the world. Frankly I would rejoin them in these sort of efforts. The way it is now, I am not happy with their goals or their silly ideas. So they do not get my money or support. Dried peat burns well. In fact it burns and burns and burns and is rather hard to put out, especially when the burning reaches far into the ground. I’ve seen helicopter firefighters spending DAYS (and lotsa tax payer dollars) trying to put out such a fire. In the end some generator powered pumps were brought onsite and river water from less than 20m away was pumped over to flood the entire area … and they kept it flooded for months after that ! … and your mob want to build a housing estate next to such a place ? I shouldn’t laugh … our mob want to build the city’s new main stadium ON TOP of the place I just talked about. I imagine that I’m not the only person who grew up near the Swan River in Perth in the vicinity of the Belmont Park race course who is somewhat bemused by the plan. I wonder what sort of engineering will be involved to counter the foundation upsetting effects of the ground smouldering away beneath it ? PICKERING. Have you no morals, man? DOOLITTLE [unabashed] Can’t afford them, Governor. Neither could you if you was as poor as me. One of your best ever posts, Willis. Truth delivered with the force of impeccable science, a Mjölnir blow to the forehead of ignorance. There needs to be an airdrop of thousands of your atoll image and analysis over the political centers of all the populated atolls of the world. They need to understand the solution to their problem is not found in destroying US tax payers’s livelihoods. Tuvalu will never be the paradise they desire – the atolls simply cannot support themselves and the legions of backward thinking humanity that are killing them. I wonder how the Bikini Atoll is doing nowadays. It was depopulated before the big boom down there. The Bikini garment has shrunk in response to global warming. Please share your source for this statement. Otherwise pass the bowl of what ever you are smoking, it must be some good chit man! In fact, the education system is part of the problem. So-called educators routinely spread the propaganda disseminated by the NGOs, not least, the Sierra Club. No chance of that, Jack. It's got facts in it. I was one of the early Greenpeace members when their focus was on saving whales and protesting atomic testing in the Aleutian Islands. When they actually had scientists on board and they actually made sense. While still an environmentalist (and one before many of the current environuts were born) I see most if not all “Environmental” organizations sidelined into activism with little regard for science and facts. They are big moneymaking organizations with self-sustainability as their prime goal. This was an excellent article – one I copied (I hope that was ok Willis) to show others who are still on the “Maldives are sinking” wagon. Maybe I can change one persons mind. Naive perhaps – but I will at least say I tried. Thanks, Willis. You share the best! Coral atolls, like ocean clouds …. Their beauty is their threat. Citations, please, to maybe only a mere dozen of the “thousands of atoll islands” that have been wiped out by rising seas. If indeed there are thousands of them, surely you can give us the locations of a dozen of them. Citation, please, to the “drowned fringing reefs” that the tropical Pacific is allegedly “full” of … since the Pacific is full of them, provided the location of a dozen or so shouldn’t strain you at all. PS—yes, reefs can get drowned, just as they can die. In general a healthy reef can stay well ahead of the sea level rise. However, such natural events as landslides or volcanoes can cause siltation, one of the reef’s biggest enemies, and result in a weakened reef that is unable to keep up with rising sea levels. In addition, in some places the islands have sunk very, very fast, even catastrophically, and of course no reef could keep up with that. So yes, there are likely scattered atolls that have been wiped out, although usually by cyclone rather than by sea level rise. And curiously, if the reef isn’t damaged, an atoll may well reappear in the same exact location. But in general? The atolls that exist today exist because they have always been able to grow faster than the sea level rise, and there is no reason to assume that if they are healthy they will not do so indefinitely. So I’m sorry, Ryan, but your claim that the current crop of atolls, the successful ones, are suddenly in grave danger simply isn’t true. Great read, Willis! Thank you. After reading this I notice that many of the South Pacific beaches have different textures of sand. Some are chunky with large bits of coral mixed in and others are very fine white sand. I used to think it was just a function of typhoons that broke up coral, but now I realize it’s perhaps the population density of parrotfish around the island. How cool is that? Providing, of course, you don’t think too much about it and realize that when you are luxuriating on a fine sandy beach, sipping cold coconutty drinks with tiny umbrellas stuck in them, you are actually lying in parrotfish poo…..
Submerged atolls are better known as reefs and there’s no shortage of examples. Given time they may grow above the surface. Such reefs can be connected by shoals which come and go. There are seamounts that were exposed at the sea surface during the last glacial period and to which coral polyps surely attached themselves and which formed atolls, shoals, and reefs. Post glacial sea rise, the kind that produces this: http://www.culture.gouv.fr/culture/archeosm/en/fr-cosqu1.htm, outpaces the ability of coral-based replenishment to keep up, so the atolls disappear under the rising sea to become seamounts again. I had read that, and found it far from convincing. They claim that coral reefs can’t keep up with a sea level rise of more than 8″ per century … and since the relative sea level has gone up much more than that in many areas where coral reefs are currently thriving, I found the results to be far from real world outcomes. dp, thanks for the information, but I am assuming, (maybe wrongly, but I don’t think so) that Ryan is insinuating AGW/CAGW/ACC (Anthropogenic Climate Change)/ CACC as being the reason the Atolls are being “wiped out”. If he wasn’t, then I apologize for my remark, but his previous posts on other threads here indicate he believes we are at fault for all that is “wrong” on this planet in the eyes of the warmists. A ridge of jagged rock, coral, or sand just above or below the surface of the sea. It is known that a lot of exposed shallows and islands were submerged when the sea level rose by a couple hundred feet when the ice sheets that covered Chicago a a half mile deep melted in a short time. And I suppose that means that if we were to come out of the current ice age and get another 200′ (60 metre) sea level rise in a short time, that some current atolls might be drowned … wait, what’s that you say? We’re not in an ice age, so we can’t come out of it? The ocean is unlikely to rise another two hundred feet? Oh. Guess that ends that. In reality, the rate of sea level rise has shown absolute no sign of the acceleration that has been foretold many times by the alarmists. And the atolls have had absolutely no trouble coping with that rise for the last 5000 years or so. So no, the current rate of sea level rise or anything near the current rate is absolutely not a threat to the atolls. The shallower reaches of the bank comprise about 15–18 miles of sandstone and basalt and they rise from the ocean floor from 1000 fathoms, or just over a mile in depth. The bank has been described as a series of mountaintops, but really it is more of the shape of a wave-scoured mesa with a few hard, basaltic high spots along its length. The shallowest peak, the Bishop Rock, rises to between 3 and 6 feet (1–2 m) from the surface, depending on the tides. On very low tides, the rock can be visible in the trough of passing waves. Other shoal spots besides the Bishop Rock also spawn giant waves. These shoals range in depth from 30 to 100 feet and are a hazard to shipping. Cortez Bank is an interesting reef, of great interest to surfers like myself, but immaterial to a discussion of coral reefs. As I said above, not all reefs are made of coral, most are sand or rock. FC: You mentioned that the policy involves the largest wealth transfer between the poor and the rich in history during your talk. Can you just expand on that? BP: We are talking about a wealth transfer in the order of about 600 billion euros in the last eight years. Subsidies paid to green investors mainly land owners and very wealthy families who put up large solar panels on their farms or roofs. These 600 billion euros are being paid by ordinary families and small, medium sized businesses to the most privileged members of European society. That is the biggest wealth transfer in modern Europe for a very, very, long time if not ever. Unfortunately the policies that are intended to divert the money of wealthy nations to the worlds poor seem to drive the money in the opposite direction. The inhabitants of the atolls may find that they do not achieve what they wish to achieve. OK, I figured out where Ryan was getting his misinformation, from the usual font of nonsense, the deceptively-named “SkepticalScience” blog. There, they make the identical claim, that there are “thousands” of drowned atolls. Guyots were first recognized by Harry Hammond Hess in 1965 who collected data using echo-sounding equipment on a ship he commanded during World War II. The data showed the configuration of the seafloor where he saw that some undersea mountains had flat tops. Hess called these undersea mountains ‘guyots’ because they resembled Guyot Hall, the flat roofed geology building at Princeton University which was itself named after the 18th century geographer Arnold Henry Guyot. Hess postulated they were once volcanic islands that were beheaded by wave action yet they are now deep under sea level. This idea was used to help bolster the theory of plate tectonics. A guyot is a volcano whose top got sawed off by waves, not a drowned atoll. Guyots are up to a hundred million years old, although there are a few that are only a million years old. They are not relics of the sea level rise from the last ice age, they went underwater millions of years ago. So the claim that the guyots represent “drowned atolls” is a joke. There’re guyots in the Northeast Atlantic Ocean, for goodness sake, and up by the Aleutian Islands, and surely they were never atolls in their lives. The SkS claim that there are “thousands of drowned atolls” is based on the number of guyots … many of which are nowhere near the tropics. Nice try. Did some guyots have a reef at one time? Sure, reefs get started wherever conditions allow. Do all of the coral reefs that get started survive under all conditions? Of course not. Local waters may be too cool, or not basic enough, or too silty, there’s lots of ways to slow or stop reef growth. Heck, a bad enough volcanic eruption could create a barren guyot where reef once flourished. That’s created plenty of guyots in the “Hawaiian-Emperor” chain of islands, underwater mountains and guyots that include the Hawaiian Islands. But the atolls that have survived are not under threat. They are the ones where the conditions are right, and they have survived the sea level rise and fall for thousand and thousands of years. The lack of science in SkepticalScience is profound … and their claim that current conditions threaten atoll nations is totally refuted by the actual measurements showing that over the past fifty years, DESPITE STEADILY RISING SEA LEVELS, 43% of the measured atolls have stayed the same in land area, and 43% of the atolls have actually grown in size. We know there was sea level rise … does that look like damage to you, most atolls staying the same size or increasing? Another brilliant theory gone aground on an inconvenient reef of hard facts … atoll nations are not disappearing, almost half are increasing in size. So on the long term (kiloyears), the seas are regressing, while on the short term (years, decades or centuries) rising, as MSL recovers from the lower levels of the LIA. And even this rise has slowed lately. Whether sea level is rising or falling depends on the time scale used. Seamounts, eroded, extinct volcano tops submerged millions of years ago, like the Emperor Seamounts which are vestiges of the Pacific Plate’s movement over the Hawaiian Hotspot, often make excellent fishing grounds. There’s a well-known one off the central Oregon coast, courtesy of the active Juan de Fuca Plate. Let me remind folks that the line of BS being peddled by the big environmental NGOs (and the SkepticalScience website) is not that the atolls might face some future damage in some future world. The claim is that they are currently being damaged by sea level rise, and have been for a decade or more. That’s what the Sierra Club said when they opened the bidding on this lunacy, and their claim hasn’t changed. So while we can never show that they atolls will not face some unknown future threat, this claim of past and current damage is disproven by actual measurements, as well as by the survival of the atolls over hundreds of years of sea level rises as great as those of today. Thanks for the research! I’m at work and didn’t have the time at the moment. I guess this also allows me to withdraw my previous apology. Also, can I claim credit for coining the term Anthropogenic Climate Change as well as Catastrophic Anthropogenic Climate Change? Which is what warmists claim now since AGW and CAGW have run their course. I don’t deny the climate changes, I deny man can affect the climate in any meaningful way, short of launching every nuclear missle known at one time, then we may have an affect! “The Sea Devil – The Story Of Count Felix Von Luckner, The German War [WW I] Raider” by Lowell Thomas (republished Nov 21, 2008). I heard the count speak post WW II as a mid teen and was awed. This gentleman pirate roamed Atlantic and Pacific in a sailing ship and captured and sank about a dozen allied freighters, and never lost a soul. Things got hotter after he disgorged his hotel guests at a neutral port. Restocking on an atoll he got wrecked there by tsunami and did a Captain Blligh to capture another ship. It goes on… His early life was sailing at sea w/ ore adventure. What a guy ! I prefer Catastrophic Anthropogenic Climate Change Alarmism (CACCA). Examine it closely, and you will find that the reason that there is such wild variation is that sea level is measured with tideguages which measure how much water there is over the ocean floor, which means that an area where the floor is subsiding rapidly is interpreted as a gigantic rise in sea level. My personal favorite is the mouth of the Chesapeake, where a really staggering rise in sea level is within eyesight of a very small rise on the other side of the bay. When in doubt, satellite measurements can clarify. Sea levels are like climate. They always change. The idea that there is some steady state is a myth and not even a scientific one. One point that Willis omitted in his brilliant summary of atoll formation is that the islands themselves are in motion. The linear pattern of the Hawaiian Islands – not atolls yet – is a good example. The oceanic crust it self is in motion. A mantle plume rises (very roughly speaking) beneath the big island of Hawaii. As the crust rides over the plume an island with active volcanoes forms (there’s a new one forming still below the surface southeast of Hawaii), the island with the active volcanoes moves away from the plume and goes quiet. You can follow a chain of underwater sea mounts, and coral reefs that are all on extinct volcanoes northwest from the Hawaiian Islands – which are not atolls – to the Midway Islands – which are. The chain of sea mounts continues northwest with a kink, eventually vanishing into the junction between the trenches bounding the Pacific plate along the Aleutian and Kurile Islands. Look on Google Earth. Every atoll is on an extinct volcano and every one of those is riding a slow motion conveyor carrying them away from an elevated surface over a plume or off the apex of a midocean ridge toward the abyssal plain. Other causes for sea level rise include ocean water warming and expanding, isostatic rebound as lands formerly under an ice sheet gradually rise while the plastically deformed land around the borders sinks back. Back on the Crimean Penninsula I’ve see Roman and Classical Greek vineyard patterns under the Black Sea that were gradually inundated as a result of isostatic rebound effects. There is no single cause of changes in sea level. Willis – I’m not disagreeing with your article – but it is a fact that there are drowned atolls out there as a result of the post-glacial sea rise. It rose faster than the rebuilding can keep up. Except for that extreme circumstance, coral reefs are perfectly self-sustaining for natural trends of sea level change. You like to tell people you’re not going to do their homework – I’m not so inclined, so here is a trail head of what submerged (drowned) atolls look like: http://en.wikipedia.org/wiki/Chagos_Archipelago and it would be very easy for the uninformed to believe these are victims of human-caused global warming. See more at Penguin Bank, Hawaii. During the glacial period they were true islands. They’re not victims of modern sea level rise. Islands sometimes simply sink over time as well as being drowned by glacial melt. Islands that have been permanently over-topped by rapidly rising seas can have remnant coral present. The process of being flooded includes oceanic scouring, and as you say, atolls, the tops of seamounts, are largely rubble. Most of the formations in the Hawaii archipelago are former islands turned atoll turned reef turned seamount. This is typical of the volcanic island life cycle and as we agree, have nothing to do with sea level rise. I was attempting to clarify for a sub-conversation how atolls can become drowned. I provided causes other than natural non-glacial sea level rise. I’m aware of no atolls that are drowned by sea level creep that follows initial glacial melt and subsequent sea level expansion do to warming of that melt water. I also didn’t mention volcanic explosions and sloughing of above and undersea formations which can also cause rapid permanent flooding. I’m not a sailor – I’ve worked on and around boats, yachts, barges, tugs (harbor and ocean), drilling platforms, large freighters, container ships, and oil tankers for decades, though. I don’t talk or write like a sailor but I can. Reefs, shoals, sand bars, seamounts, atolls, barrier islands, etc. all have broad and often colloquial meaning. It is generally understood that reefs are a submerged formation (one presumes mean tide) and that atolls can be trod upon and even populated. Reefs can be atolls that have suffered a typhoon strike and all surface material has been displaced leaving only an underwater formation. These become atolls again, given time. I’ll defer to sailor field experience to put a finer point on it. Thank you again for this fine article. Here is a PBS article that should serve as a “Here’s your sign” moment for people who don’t understand islands: http://www.pbs.org/frontlineworld/rough/2005/12/tuvalu_that_sin_1.html – the comments are pretty much the only place you will find any intelligence on that page. That page is why your article is so important. Statements like this should not be made without scientific evidence to back it up. We need to form a team of researchers immediately to gather evidence and determine whether this statement is valid. Any volunteers? You certainly are not the first to ask that question. Sea level has been rising for well over 12,000 years and continues today. There is no dispute there. 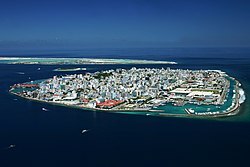 The dispute is whether coral island atolls are doomed. As shown above history says no UNLESS something remarkable happens or the islanders destroy the fabric of their islands that has defied past sea level rises. In the past few thousand years the rate of rise has been flattening. There is no evidence of an acceleration in the rate of sea level rise this century. Sea levels can rise in one geographic location and fall in another at the same time. Land rises and falls too. See the graph below to get an overall idea. PS, Bangladesh has gained land mass over the past several decades! The environmental movement has has morphed into clubs for people who are affluent enough that they can afford to resist development in their own backyard, and they think that gives them the right to dictate to the rest of the world what development should be allowed in other’s backyards. So to provide a counterweight to this recurring myth, to drive yet another stake through the heart of this zombie, ..
You’re mixing your mythological metaphors; you kill a vampire with a stake through the heart whereas zombies must be decapitated or in some other way separated from all brain matter, as with a 12 ga. slug through the head. If you’ve been staking zombies through the heart all this time, no wonder you’ve been having problems! I know WIllis’ articles are long and peppered with diversions, but I always find them interesting and well worth reading all the way through. At what point did you stop reading? There is nothing in the post you could construe as Willis claiming sea levels are not rising. Go back to the beginning and read all the way through this time. You evidently have not heard of, or at least not understood the idea of plate tectonics and what that means about sea floors and islands in the sea. Nor have you considered the implications of the end of the last glacial epoch with respect to atolls. Might want to before propounding about coral reefs. Both of my daughters had to go through 10 days of ‘climate change indoctrination’ in their elementary and middle school here in Texas this past year. I had to hold my temper as each day passed and I made my daughters regurgitate the nonsense these ‘teachers’ were propagating. 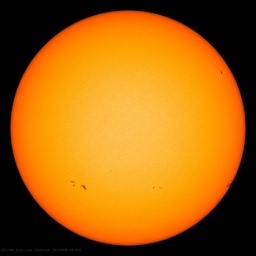 I I am going to recommend to the school board and principal(s) that this article, as well as much of the writing of Willis be mandatory reading alongside any supposed ‘climate change science’ that is presented to our most impressionable youth. Thank you Willis for a beautiful piece of writing. You have very eloquently given voice to the feelings I have experienced as I have watched, ignored, while conservation organizations I once supported,in one case founded,have rushed off to campaign against CO2. Gone are the times when days were spent determining the best knowledge, ensuring that our message was as true as possible while bending our efforts to helping our local environment. I think that concentrating on habitat preservation and restoration locally would be less risky idealocically. The Cairns and Far North Environment Centre recenrly emailed me to urge me to take a camera to the Cairns sea front and get photos of the effects of the recent maximum spring tides. They wanted to be able to select photos they could use to convince people of the dire results of anthropogenic sea level rise. They wondered why I was outraged! Thank you also for your insights into the ecolocical significance of the parrot fish. I have spent hours following them around. Yet , I am ashamed to admit, the significance of some of what I have odserved failed to register. I was too, went to large protests over Amchitka and watched as Greenpeace, Suzuki, WWF and others morphed into giant corporations with self interest equivalent to arms manufacturing. How much of their money is used to help the underprivileged versus the “overprivileged”? Great article and lots of good comments. Thanks. The Chagos Archipelago is very tectonically and volcanically active. Those drowned atolls are likely the result of tectonic movements or volcano collapses. Undersea volcanoes are basically a pile of loose rubble and can suddenly collapse leaving their summits significantly lower than before. There is no evidence of loss of coral reefs at times of sudden sea level changes, such as the start and end of the Younger Dryas. So your speculation that sea level rise is the cause is unlikely to be correct. There is also the fact sea levels have fallen around 2 meters since the Holocene Optimum, and rises over recent centuries have been much less than this amount. There is no evidence sea level rises have been enough to drown atolls under 10 meters or more of water in this interglacial. For a good description of the debate about the formation of coral reefs, read “Reef Madness: …” by David Dobbs. Darwin was right, but there were many battles before his insight was confirmed. The … is because I skipped the very long subtitle. One argument in favor of adding CO2 to the atmosphere through the burning of fossil fuels, is to replenish the volume stolen by marine organisms for use in their structures, shells, and bones that create carbonate sediment. The massive volumes of calcium carbonate, limestone and dolomite, that fill the geologic columns of the world from the Cambrian to the Recent, were captured by marine life and deposited post mortem in ocean basins never to return to the atmosphere. We’re fortunate some of that capture pressed from their corpses resulted in petroleum. Philip – I am not speculating that sea level is rising. It is and has been since the last glacial period. This is stipulated by observation. But it is not alarming. Uneducated Neanderthals have survived worse and I’m certain we could too if it were a problem which it is not. I only brought all this up because others mentioned “drowned” atolls. There are drowned atolls, of course, and I explained why. Now there’s all this, as John Lennon once said. I’m on your side here – I don’t see the current and past rate of non-glacial flooding caused sea level rise as a problem. I have described the only valid way I’m aware of that islands and atolls “drown” – a description offered by another poster, not me. I’m responding to that other poster. Rapid ocean levels rise when glacial periods end and the ice returns to the sea as water. See more at Cosquers Cave in France regarding sudden and large sea level changes and why they happen. Try to follow the plot. I’m not predicting any sudden rise in sea level – I’m only stating what happens when it does rapidly rise. Tuvalu is the peak of a pressure ridge caused by plate tectonics. If that ridge building stops or worse, reverses, then Tuvalu will wear down just like any other island. There are 8 stages in the island life cycle which can last millions of years. I learned this as a kid growing up in Hawaii. http://www.bishopmuseum.org/research/nwhi/geoact.html and it is as true today as it was then (then was 1956). This is why most of the seamounts that form the Hawaiian island chain are entirely submerged. Most of the world’s seamounts have never seen the light of day. And I’ll repeat what I said earlier – it has nothing to do with rising sea levels. Islands sink, and islands wear down. It’s natural. Coral atoll formations delay the final stage, but it is only a delay. If the rebuilding of the coral can keep up with that wearing down then the surface formation will be around a very long time. But the rubble pile can become less stable over time and it is entirely possible it will collapse as a sink hole at some time in the future. Willis’ graphic shows that the living coral lives in a very small range of depth and that part that sits atop the underlying seamount, be it an upthrust like on-shore mountain ranges, or of volcanic origin, once that growth ends the island is doomed to the end game. If the human inhabitants kill off the coral they will kill off the island. That is Willis’ point and it is absolutely true. Inhabitants are not the only threat to coral. Coral atolls are mostly old volcanos that have sunk back in the sea. That’s why they are roundly shaped. Was is up to 1300 meters down trough coral before they found basalt from the volcano? So if coral atolls have survived up to 1300 meters of “sea level rise” why is another meter a such big problem? Further sea level rise would only endanger corals if it was so rapid that the creatures were suddenly covered by too much water for sufficient sunlight to penetrate to their new depth. Most tropical reef-building corals need photosynthetic algal symbionts to survive. Those which don’t rely on associated algae can however live in deeper, colder water. Historians question to what extent Darwin’s full hypothesis of reef & lagoon formation was “thought out” before studying reefs in the Pacific & Indian Oceans, but it does appear that the basic idea of a sinking mountain did occur to him before having seen an actual coral island or atoll. The evidence is slim, but doesn’t rule out his later autobiographical statement. The reference doesn’t quote him on Tahiti, but Darwin wrote that seeing still emergent islands fringed with corals & barrier reefs confirmed him in his prior speculations. @ Willis Eschenbach…great article. I bet many of those who talk on this site are also concerned for the environment. This is a great piece of information to use in debates when the threatened islanders enter into the conversation. As with most natural systems, the presence of grazers greatly increases the health and productivity of the reef ecosystem. much the same way that grazing animals improve the heath and productivity of grasslands so long as they are kept together and on the move by predators or the use of grid fencing. Willis is spot on with his description of coral reefs. Especially what happens when there is overfishing, dynamite, nets, etc. and the algae kills the reef. The only quibble I might make is that the outer wall of the reefs are often vertical, which suggests that the outer ring is quite solid, and the rubble collects within the more solid outer ring. Or perhaps the marine organisms simply cement the rubble together. Shell grows at an amazing speed in the tropics. It is not unusual to find an inch or two of white shell has grown almost perfectly uniform in height on the bottom of a dinghy left in the water for a couple of weeks without anti-fouling. Many folks pick their dinghy up out of the water with a halyard each night for that reason. And as far as reef bleaching goes, it is a natural process as some corals do better in cold water, some do better in warm. It is not unusual to see a forest of corals turn white due to warming or cooling. Come back in a couple of years and they are fully recovered. The old tenants moved out and new ones moved in. It is lack of experience with coral reefs that results in the false alarms. Someone takes a 1 day trip out to a reef, sees a bunch of bleached corals, and assumes that the reef is dead forever. It isn’t like this. There are huge numbers of polyp larvae floating in the water looking for homes, empty places on the reef to attach so that they can mature into adults. Otherwise they are likely to end up as dinner. the ring shape of coral atols is more likely due to the weight of volcanoes than sea level rise. volcanoes weigh quite a bit. Over time this weight depresses the relatively thin crust of the ocean floor and the volcano sinks into the ocean. Without coral many of today’s islands would have disappeared long ago. Bermuda has emerged and submerged . I am always looking for stranded coral reefs in the street cuts but all I ever see is wind wind deposited coral sand which seems to make the topography today. The Bahamas also emerged and submerged over time. http://www.livescience.com/30440-bahamas-island-seismic-fault-found.html. The spine of Florida is a stranded coral reef. Motus on coral atolls tend to be on the storm wind side and the relief is a result of waves dredging up coral and depositing it in a pile significantly higher than sea level. The size of the blocks of coral deposited above sea level give pause to those who are impressed by mother nature when she gets furious. I am thinking about Suvarov Atoll and the book “Hurricane” describing a severe storm that swept the island. The size of the cobbles and height of the berm on the beach is often a dead give away for a very bad place to anchor. Guyots have been described for years there are many in the Pacific.In my opinion sea level fluctuations do not entirely explain the depth these are submerged. While we appear to be focusing on sea level rise based based upon on some land index I am gleefully watching a pier improperly supported on blue clay sinking to the chorus of AGW opportunists. ( It has a lawyers office on it) New York is sinking under the weight of the buildings , Alaska is rising etc etc.and I believe the large scale effect of glacial rebound, depositional basins, mantle plumbs, continental drift, rift valleys, and magma circulation have yet to be acknowledged to the extent they should be in understanding the immersion and submersion of coastal features.Some interesting faults are being identified the the Bahamas and the paper previously cited indicates uplift in progress. Any how parrot fish are easy to spear free diving and make great poisson cru.Thanks given to another beast that didn’t make the cut to be famous and still serves us well.